I am new to R and I am using Rstudio. 1) in the x axis label it must be the Function Class, but it is FunctionClass(without space). and when I add space, it shows this error -> :Error: unexpected symbol in "p <- ggplot(data=dat, aes(x=Function Class"
I have this line "p + guides (fill = guide_legend(ncol = 1))" for showing the legend in one column (and I need it in my script). When I insert the script "p + ggtitle ("COG Function Classification of Consensus Sequences")+" before that, there is no main title. when I put this script after that, there is a title but the one column legend transform to an ugly two column legend! and the X axis naming is still exist. (I have even used opt(), theme() and ..., but each of them show another errors, so it is not a duplicated question and it is my case issue). Help me and if it is possible, please add the appropriate lines in my script or mention the scripts and the position that I have to insert them because it seems that the please of each command has some effect on the whole program. Not the answer you're looking for? 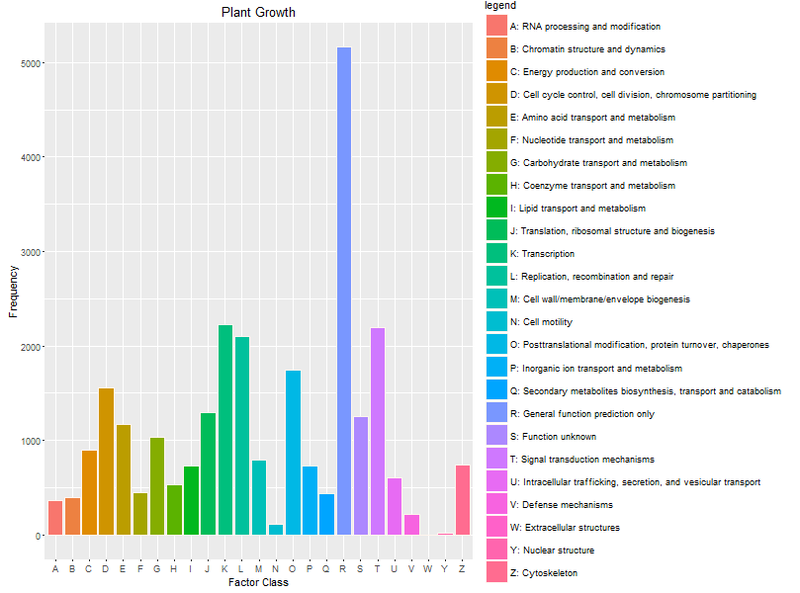 Browse other questions tagged r ggplot2 label bar-chart or ask your own question. How to draw Clusters of Orthologous Groups (COG) bar plot using ggplot2 in R? How to change the color spectrum pattern of fill() in ggplot2 bar chart? How do you add a general label to facets in ggplot2?